“My son was 16,” says Mehjabeen. “One night, Burmese soldiers raided our house, beat us black and blue and took my son away.” She never found out what happened to him. Her husband died of a heart attack a year later. His last wish was to see his son. Mehjabeen is sitting with Naseema Begum, who fled the country in 2008. She says her husband and elder son were beaten up and hanged from a tree in the courtyard of their house. Her younger son was arrested for alleged links to Rohingya Solidarity Organisation, never to return. Naseema Begum, a Rohingya Muslim woman recounts the horrors of her past. Sitting in a shanty next to a garbage dump, Naseema and Mehjabeen casually discuss the ethnic cleansing of Rohingya Muslims in Myanmar that drove the two women to flee to Jammu leaving their home behind. As of January 2017, close to 92,000 people like Naseema and Mehjabeen have been displaced because of the violence. It is estimated that 36,000 Rohingya.It is estimated that 36,000 Rohingya Muslims live in India today, most of them having arrived in the aftermath of the 2012 sectarian riots. Many Rohingya Muslims, including single widowed mothers, live in squalid shanty clusters across Jammu. As Myanmar’s neighbour and as a signatory to the global Sustainable Development Goals (SDGs), India has an important role to play in not only finding a sustainable solution to the whole problem but in also supporting Rohingyas struggle for securing justice at the international level. India should ideally ensure that those Rohingyas who now live in India are not subject to further abuse or discrimination. 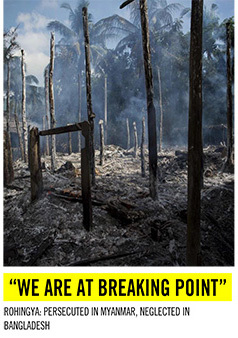 Yet, the Rohingyas continue to live in deplorable conditions. And Khalija Bibi, who lives in a shed made of branches, shrub and plastic sheet, is a testament to this reality. Bibi got married in 2008 and fled to Jammu in 2012 at the height of the persecution when a battery of Burmese soldiers attacked her at her home in the village of Hasarbi Auk Purma in Myanmar. They gang-raped her. She managed to escape with her three children, but her fourth child – a 4-year-old boy – got left behind and was killed by the Burmese. After that, staying in the village was unthinkable. Bibi sold off her property and valuables and with Rs 5 lakh in hand, made the long and painful journey to India. The family crossed the Bangladesh border at Jadi Mura into Meghalaya and then paid ₹5000 per head to travel to Kolkata. On reaching Jammu, she found a few relatives there. Her husband joined her a week later and Bibi started a new chapter in her life. It is a life not much to write home about but at least she and her family are safe. Her husband is happy to earn ₹400 a day which helps them pay the rent of a juggi at ₹600 per month, along with electricity and water bills. Khalija Bibi, a Rohingya Muslim refugee with her family in a juggi in Jammu. That said, sometimes she still wakes up in the middle of the night covered in sweat. The horrors of the past refuse to stop haunting her, even in this new life. Then there is the added threat of displacement that is hanging on the community’s head. The Modi government is “exploring” methods to deport them to Myanmar where they are persona non grata in a move that will only push the community to further depredation and violence. This, after the Panthers Party first, and later the Jammu unit of the BJP, called for the deportation of Rohingya Muslims and Bangladeshis living in Jammu. The reason: Hindu Dogra majority of Jammu fear they will be swamped by Muslims. 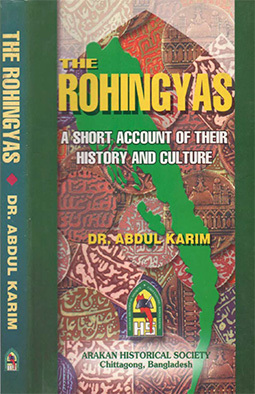 The presence of Rohingya Muslims so close to the border with Pakistan is also cited as a reason. However, according to J&K Chief Minister Mehbooba Mufti, no Rohingya Muslim was found to be involved in militancy-related incidents. “Seventeen FIRs have been registered against 38 Rohingyas for various offences, including illegal border crossing,” the chief minister said. “A total 5,743 Myanmarese are living in the state, almost all of them in Jammu,” Mufti had said in the Jammu and Kashmir Assembly in January this year. The Panthers Party is not mollified. It has put up hoardings all over Jammu warning the government that if the Centre doesn’t take steps to deport Rohingya Muslims from Jammu, it would. “Their high presence in ‘the city of temples’ is an attempt to disintegrate India,” warns Prof Bhim Singh, Panthers Party Supremo. Traders of Jammu have also jumped into the fray. A traders body has even threatened to “identify and kill them” if the government fails to deport Rohingya Muslims. As an upcoming economic power committed to achieving Global Sustainable Goals, India’s role in providing aid to the displaced Rohingya Muslims is crucial. The government must take remedial steps necessary towards delivering justice to the Rohingyas. For this, India not only needs to put an end to the rampant discrimination being faced by Rohingya women in the country, but to go that extra mile to eliminate all forms of violence against them. This can only happen by strengthening India’s institutions of democracy and by actively seeking justice for the community at both the national and international levels. It is also in India’s interest to reduce all forms of violence and work towards finding lasting solutions to conflict, most notably by putting diplomatic pressure on the Myanmar government to take remedial steps necessary towards delivering justice to the Rohingyas. India has shared a cordial relationship with Myanmar ever since the Treaty of Friendship was signed between the two. With the formation of the new government led by Aung San Suu Kyi in 2015 and India’s aspirations in South East Asia, things sure have become complicated. 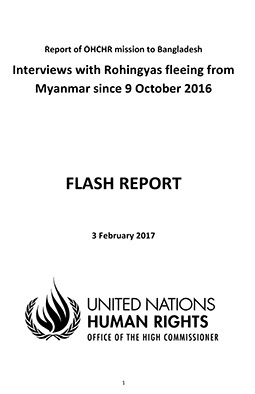 But by taking a non-friendly stand against the refugees, the country is going against its commitment to finding a long-term solution to the conflict and its promise of protecting the Rohingyas from further crime and exploitation. It is not too late to correct this grave error and to stand on the right side of history. Safeena Wani is a Srinagar-based independent journalist and a member of 101Reporters.com, a pan-India network of grassroots reporters.